Not only does Jon enjoy producing wines for Etude he often rides his horse in vineyards throughout the Napa Valley. After a very brief stint in a San Luis Obispo tasting room, I picked up a gig at the Wine Cask in Santa Barbara. This became my finishing school for wine appreciation and where I first began to refine my palate. Feeling a need to gain a more hands-on connection to winemaking and vines, I joined the harvest crush crew at Wild Horse Winery in 1989 and worked my way up to run the cellar and eventually to winemaker in 1999. In my early days of attempting to decipher Burgundy, I shared a bottle of 1985 Meo-Camuzet aux Boudot Nuits St. George. That wine opened a door of exploration, learning and an approach to wine that still guides me to this day. Tony Soter. 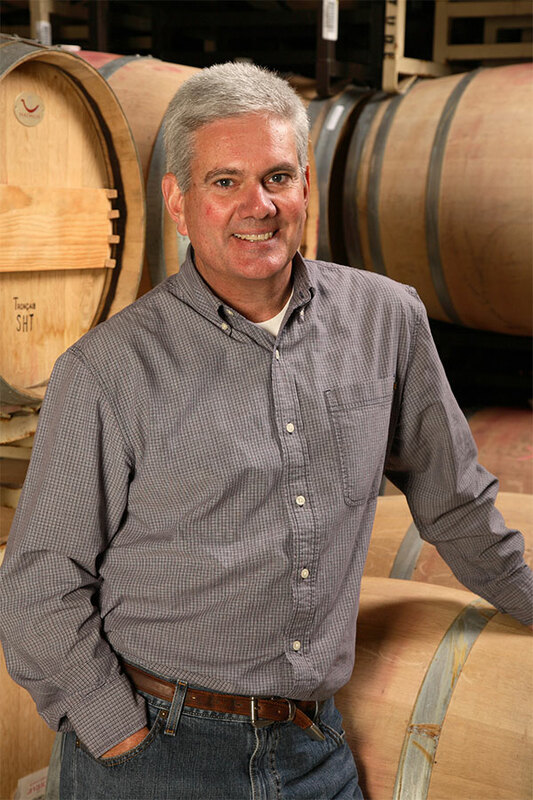 Not only do I have the honor of carrying on the Etude legacy that Tony started 35 years ago, he also crafted one of the Napa Valley wines that first caught my attention – 1985 Spottswoode Cabernet Sauvignon. The notion that inspired winegrowing diminishes the need to intervene in the cellar is a value that we share and that Tony helped me understand more thoroughly. When others enjoy the efforts of our craft and when that wine helps create lasting memories and experiences. We’re Napa Green certified and we have a strong ethos toward holistic sustainability and partnerships with local service organizations, like Can Do Napa and the Napa Food Bank. Etude is one of the quality pioneers of Los Carneros, demonstrating with our Pinot Noir just how diverse Napa Valley can be. My father, Thomas Jefferson, John Muir. Take the time to learn what has made this valley special; the people, the history, the land. That those hoof prints you see in your vineyard may very well be from my horse.